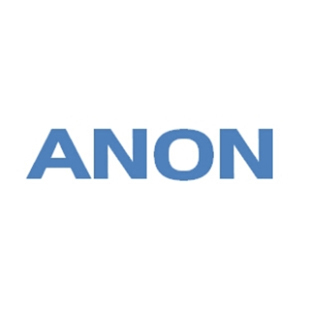 Anon CCTV(Subsidiary of Anon International Limited), a professional leading R&D manufactory in CCTV industry established in 2010. With 2500 square meters workshop and 2 SMT lines. It is currently operating at full capacity, producing 50,000 units of each CCTV camera system, DVR monthly. To ensure product quality, we import TI solution, Sony chipsets from USA, Japan, South Korea, Taiwan etc. We not only cooperate with scientific researching centers of domestic famous universities, but also with USA, Japan and UK. Anon CCTV is professional in design, development and manufacture of video surveillance systems, including high-definition IP Cameras, 4ch, 8ch,16ch 1080P NVR, HD-SDI DVR and HD-SDI Cameras, New design TI solution DVRs and full HD display products. Anon is trying her best to develop state-of-the-art and highly advanced Security products for our partners. Quality is always our priority, which is guaranteed by our over 100 raw material suppliers, thanks to Anon's professional experience in the Electronic Components industry, we only use new and original components, for example, Multi-layer ceramic capacitors, Anon CCTV only uses TDK, Taiyo Yuden, Kemet.Tantalum capacitors, only KEMET or AVX used, for Inductors, only Sumida, TDK, Bourns used, 4. Diodes and Transistors: Only NXP, Rohm, Toshiba used. 5. ICs: brands like AIC, Sony, AOS & Seiko used, and other components like connectors, beads etc only well known brands applied. it is these very basic components that ensure Anon CCTV quality ranging from lifespan to stability etc. Our products have passed ISO9001 quality management system certification, and some international certifications such as UL, CE, FCC etc. Our products have been exported to Continents and countries/regions like Europe, America, Japan, UK, Taiwan and are widely used in fields such as banking, public security, smart homes, energy resources, intelligent-building and intelligent-transportation. By integrating the horizontal & vertical markets, earning support from Government, Chinese majority Municipal projects of CCTV systems are provided by Anon CCTV. We export an average of 40,000 CCTV and surveillance products monthly. We are currently operating at full capacity, 5-10 new products released monthly thanks to our professional Research and Development ( R&D) team. We believe that Anon and our partners will grow and get stronger together.